Lee Mulcahy of Aspen is the Libertarian candidate for State Senate District 5. Aspen libertarian Lee Mulcahy is gunning for the District 5 state Senate seat in the November elections, but he’s coming up short in the campaign fundraising battle. Colorado Secretary of State’s Office election records show that Mulcahy’s campaign coffers had $418 through the most recent campaign contributions-and-expenditures cycle ending Sept. 24. His opponents, Democrat Kerry Donovan and Republican Donald Suppes, have raised substantially more. Donovan reported having $64,151 in funds through Sept. 24, while Suppes had $29,817. With Election Day nearly a month way, Mulcahy said he recognizes the importance of attracting more contributions. Mulcahy spent $621.95 in the Sept. 11 to 24 cycle, with all of the funds — except for $3 in bank fees — on food, beverages and meals, according to state records. That included expenditures made at Costco in Gypsum, Loaf N Jug in Eagle, Moe’s Original BBQ in Vail and both City Market and Roxy Market in Aspen, among other retailers. His contributors have included Pitin County Sheriff Joe DiSalvo ($25), Buddy Program Executive Director David Houggy ($25) and Aspen City Hall critic Maurice Emmer ($200), who also sits on the steering committee of Mulcahy’s campaign. 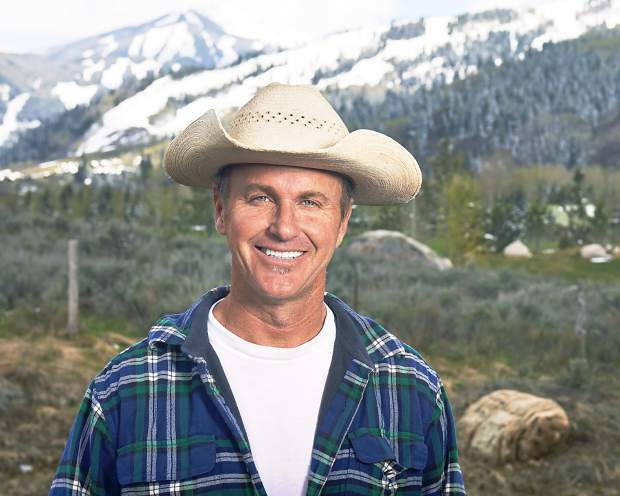 Locally, Donovan has collected financial support from Pitkin County Commissioner George Newman ($75), the Rocky Mountain Institute’s Michael Kinsley ($50) and Pitkin County Democratic Party Chair Blanca O’Leary ($50). Suppes, meanwhile, has picked up contributions from Basalt resident Tom Clark ($50), of the Clark’s Market chain, and former U.S. Rep. Scott McInnis ($100). A debate among two of the three candidates for the state Senate District 5 seat is sparking more controversy for what wasn’t said than what was said. The Sept. 11 debate in Eagle featured Democrat Kerry Donovan and Republican Don Suppes. Aspen resident and Libertarian candidate Lee Mulcahy wasn’t invited. He’s crying foul over what he’s dubbed “debate-gate.” Suppes is ready to debate again, this time with Mulcahy. Donovan isn’t. The first debate was held in an Eagle County government building and was scheduled to be rebroadcast on the local government’s television station and website. At some point, Eagle County officials learned that the debate excluded Mulcahy — a violation of the county’s nonpartisan policy that all candidates be invited to participate. Longtime Eagle County Republican Party Chairwoman Kaye Ferry said she learned of the rule 10 minutes after the debate was over. She was livid, she said, because she was told that the County Attorney’s Office had informed the Eagle County Democrats about the inclusive requirement prior to the debate, but they allowed the event to go ahead anyway. Democrats have fired back that Ferry insisted before the debate that it be between the Republican and Democrat only. Ferry acknowledged that but said she was unaware of the county’s inclusionary rule. After the debate, the Democrats wanted to rectify the mistake of excluding Mulcahy by giving him 10 minutes of uncontested time on a segment that would run along with the debate between Donovan and Suppes. Ferry said that wasn’t good enough. The Republicans insisted that the county stop airing the debate because it violated policy. That spurred the Eagle County Democrats to accuse the Eagle County Republicans of sinking the quickest and easiest solution to Mulcahy’s exclusion. But Ferry said letting Mulcahy talk for 10 minutes in a forum separate from the debate wasn’t the best solution. “What we offered at that time was a redo,” she said. Suppes was willing to hold the debate again, this time including Mulcahy, she said. A spokesman for Donovan’s office wouldn’t address the so-called “debate-gate” directly. He noted that all three candidates are participating in three debates next week, in Gunnison, Delta and Buena Vista. “Debates are an important part of the process, but even more important is reaching out to citizens one-on-one and learning about their concerns and hopes for western Colorado, which is what I’m focused on doing through Election Day,” Donovan said in a statement released by her campaign office. Mulcahy acknowledged he will get a chance to debate both foes, but he wanted to debate Donovan, a Vail resident, on her own turf. In addition, Eagle County is one of the more populated portions of the sprawling 5th District, which includes Pitkin County. Mulcahy said it was important to his campaign to get exposure in Eagle County. Mulcahy said he doesn’t know why Donovan is resisting another debate in Eagle County. She won’t respond to his calls or email invitations. Ray Cheney, Mulcahy’s campaign manager, said Donovan might perceive she had nothing to gain by debating again in her home county. “She could be in coast mode and can’t be bothered,” Cheney said. No one is blaming Donovan for Mulcahy being excluded from the Sept. 11 debate. Candidates typically show up where they are invited and have nothing to do with the organization of an event. But Ferry blames the Eagle County Democrats for bungling the debate by excluding Mulcahy, in violation of Eagle County’s rules, and she blames Donovan for avoiding a second debate.